On May 1, 1994, I watched on TV as the life of my hero, Brazilian Formula 1-driver Ayrton Senna, came to an end. After a weekend of repeated safety concerns around the Imola track for the season’s San Marino Grand Prix, it was with much trepidation that Senna sat down in the cockpit of his Williams-Renault to begin the race. He never made it to the finishing line. I began following Senna when he was racing for the Lotus team. Acknowledged to be a great racing talent already from his start in the sport, Senna moved to McLaren-Honda where the rivalry between him and his team mate, French driver Alain Prost has become the stuff of legend. In Sweden where I grew up, Formula 1 has never been a big sport, most likely because there have been few Swedish drivers. The most successful one was Ronnie Petersson, who died in a crash in 1978. Watching Senna race on Sunday afternoon therefore became a weekly hunt for TV broadcasts. In 2010, the documentary Senna was released. For one reason or another, the only day I had time to sit down and watch it was on Christmas morning. For the first time in nearly two decades, I once again immersed myself in the adrenaline rush of a Formula 1 race, revisiting classic moments of Senna’s career while seeing what went on behind the scene during the years he was racing. That morning I relived the moment when Senna’s car hit the concrete barrier of the Tomburello Corner. Watching the footage, I was brought back to that late Sunday afternoon when I sat in front of the TV watching the news and waiting for any update on what was happening to my hero. Just as the news anchor was about to sign off it was announced that Ayrton Senna had died from his injuries. Together with legendary drivers such as Niki Lauda, Ayrton Senna’s great talent and passion for the sport proved to be a turning point for Formula 1. 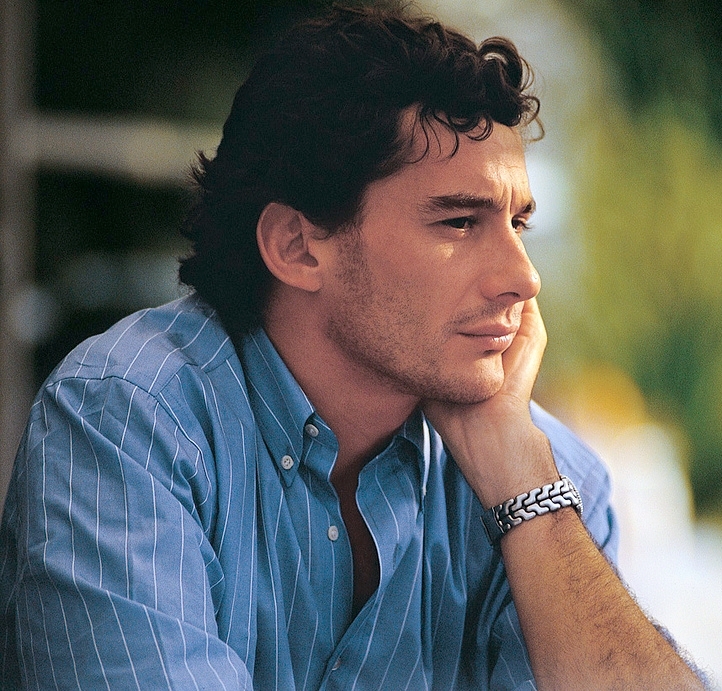 Not only did he change how a race can be run, Senna also raised concerns regarding safety around the tracks. 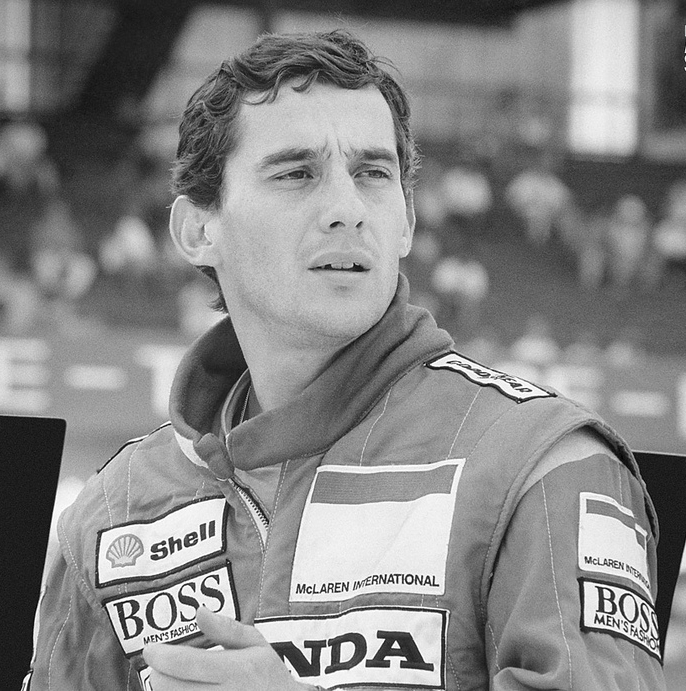 After his death, his work on race track safety was continued by others and to this day, Senna is the last driver to give his life to the sport. Rest in peace, Ayrton. You are dearly missed. Good racing movies are hard to find, but in 2013 Ron Howard succeeded with Rush, a motion picture about the rivalry between Formula 1-drivers Niki Lauda and James Hunt. I also highly recommend the documentary Senna. The images of Ayrton Senna have been downloaded from Wikimedia Commons. This entry was posted in History, Watching & Listening and tagged Alain Prost, Ayrton Senna, Brazil, Formula 1, Grand Prix, Honda, Imola, Lotus, McLaren, McLaren-Honda, Renault, San Marino Grand Prix, Senna, Williams, Williams-Renault by Erika Harlitz-Kern. Bookmark the permalink.